The Duo Prompt lets you choose how to verify your identity each time you log in. Supported Browsers: Chrome, Firefox, Safari, Opera, and Internet Explorer 8 or later. 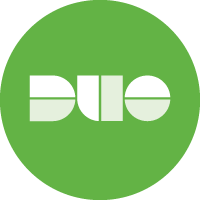 After completing Duo enrollment (or if your Duo administrator set you up to use Duo), you'll see the Duo Prompt the next time you perform a browser-based login to a web service or application protected with Duo. If you have more than one device enrolled, like a mobile phone and a hardware token, you'll see a device selector. Select the device you want to use and then choose your authentication method. 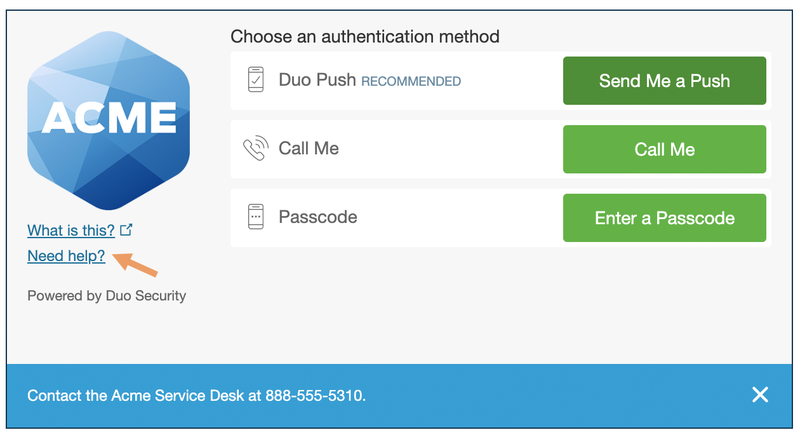 Duo Push Pushes a login request to your phone or tablet (if you have Duo Mobile installed and activated on your iOS, Android, or Windows Phone device). Just review the request and tap Approve to log in. Call Me Authenticate via phone callback. 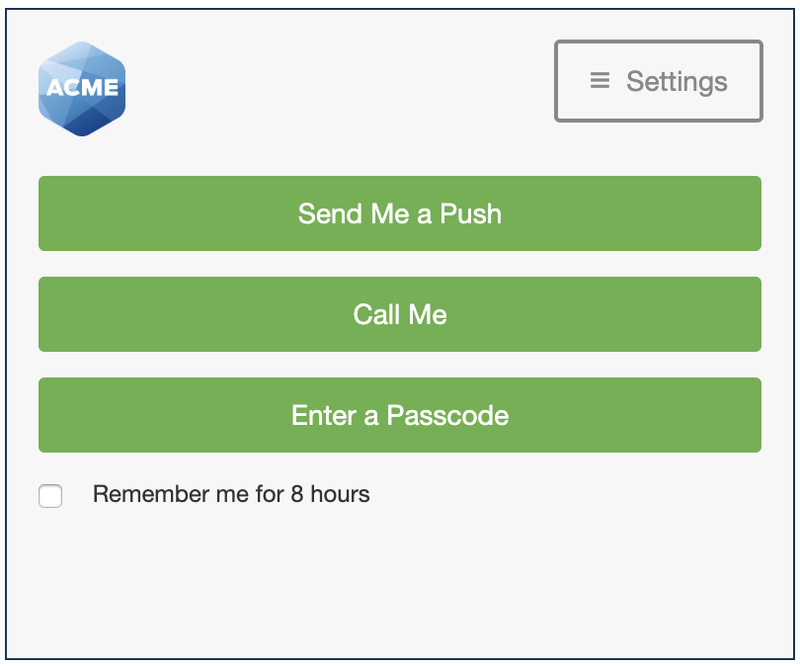 Click Send codes to get a new batch of passcodes texted to your phone. You can also use security keys for one-touch hardware-backed authentication. 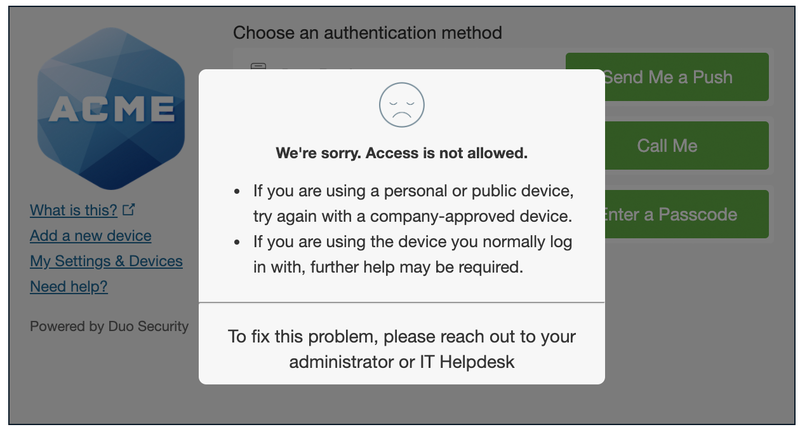 Your Duo administrator may have limited which authentication methods you can use to log in. If this is the case, then the Duo prompt shows only the allowed methods. 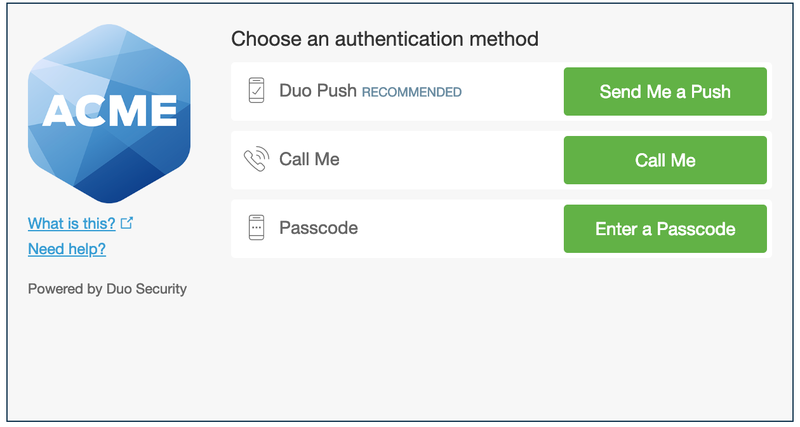 So, if your organization disallows phone call for Duo logins, the prompt may only show the "Send Me a Push" and "Enter a Passcode" options. 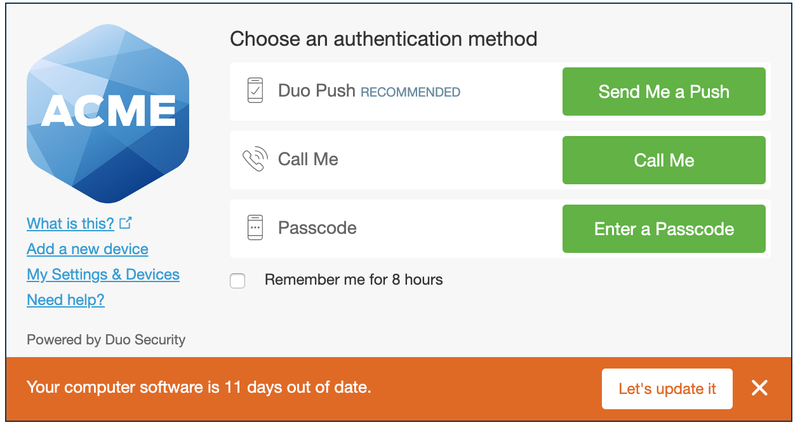 In the event that your organization restricts use of the authentication methods attached to your account, you'll see a message indicating this, with the option to enter a Duo bypass code. If you can't authenticate or aren't sure what to do, click Need help? on the left side of the Duo prompt. Your administrator may have customized the help text with additional instructions or contact information. 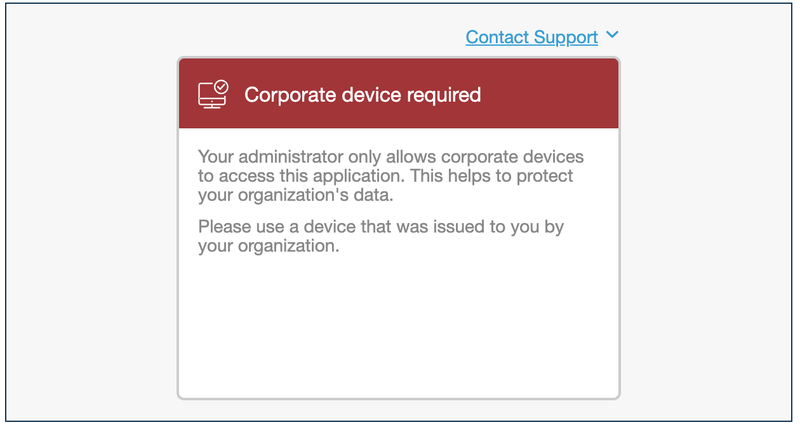 If your organization has enabled self-service you can add an additional authentication device by clicking the Add a new device link, or update your setting and remove authentication methods by clicking My Settings & Devices. You'll also see a Remember me for... option if your administrator enabled Duo's trusted devices feature. 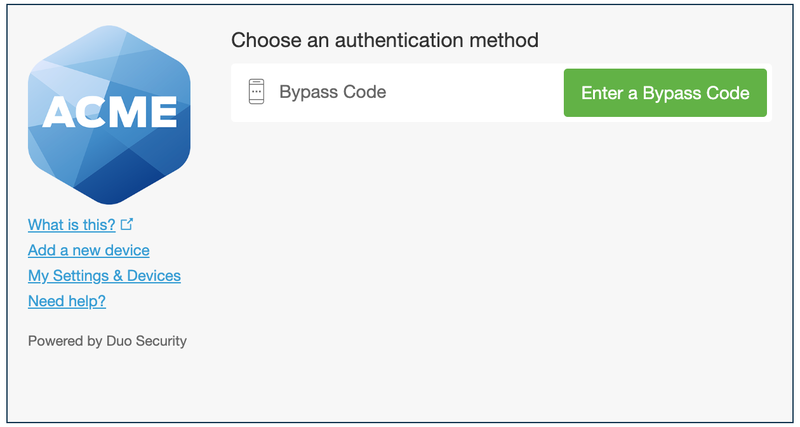 If you check this box when authenticating you won't need to perform Duo second-factor authentication again for the duration specified on the prompt. 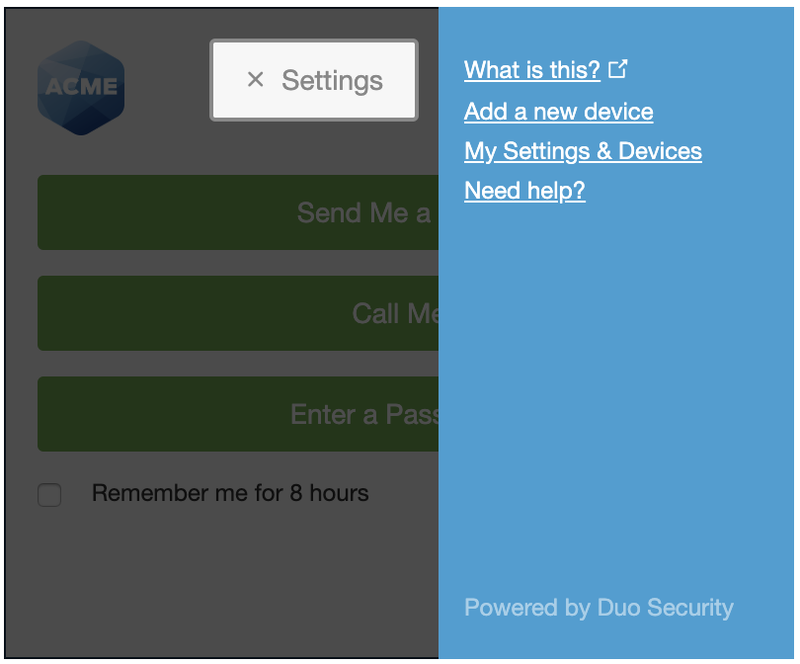 If you're logging in with Duo from a device with a smaller screen (like a tablet) or small browser window then your Duo Prompt may look slightly different. Don't worry! All the devices and options shown in the full-size prompt are available for use, and you can enroll and manage devices by following the same steps. Access Add a New Device or My Settings & Devices by clicking the Settings button at the top. Click the X on the Settings button to return to the Duo Prompt. You may be prompted to update outdated browser or plugin software when authenticating if your organization enabled this feature. 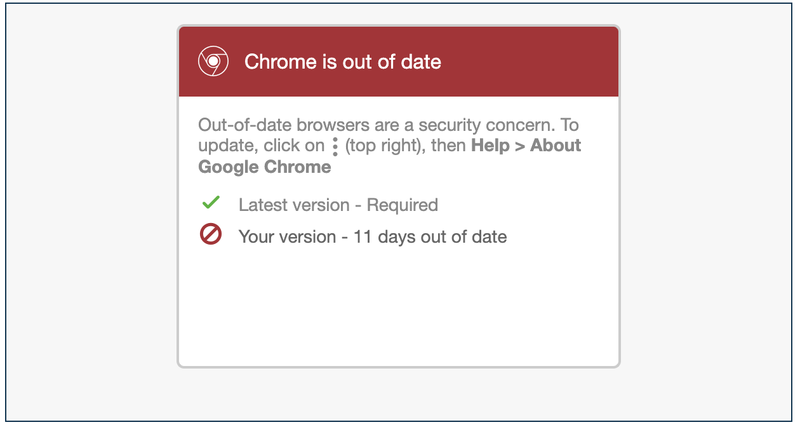 You can take a few minutes to update your web browser, Flash, or Java version to the most recent before authenticating, or choose to update later and continue on to the protected resource. 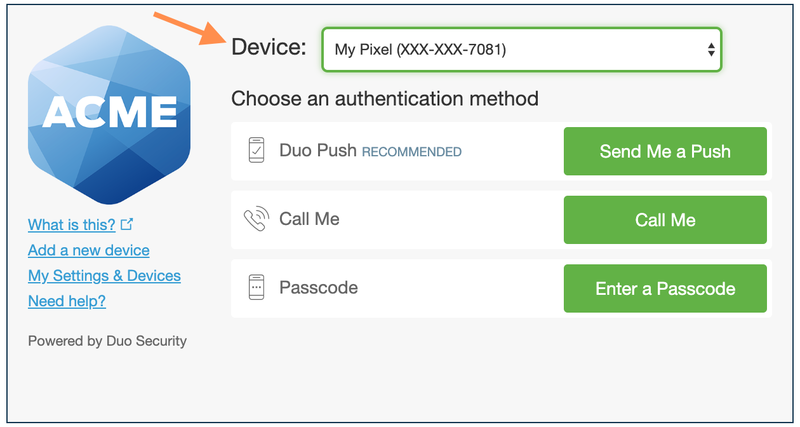 If your organization blocks access to Duo-protected resources from devices with outdated browsers or plugins, then you may not complete two-factor authentication until you update your software. Learn more about software updates. Your administrator may also choose to block access from certain computer and mobile operating systems. In this case, you must upgrade your OS to an allowed version or switch to a different device. Your organization may choose to block access to applications from devices not managed by the organization. If this policy is enforced then you won't be able to complete Duo authentication from your personal device. Click See what is allowed for more information about this policy setting.